It’s hard to say where my interest in law began, but I think John Grisham played a pretty big part in it. I grew up reading his novels, and from the moment I opened my first one, I became fascinated with courtroom proceedings. Innocent clients being tried for murder, honest lawyers fighting for what was right, judges and juries struggling to figure out who was telling the truth — I was mesmerized by all of it. As I got a little older, I realized the vast majority of legal proceedings aren’t quite as dramatic as the ones that make it into our fiction books and TV shows, but I was still fascinated by them all the same. And so my interest continued to grow until the day came that I could finally apply for law school. Initially, I thought I might become a criminal defense attorney. After all, most of the trial scenes in my favorite stories were focused on that area of law. But I learned in law school that I could put my tough negotiation skills to use in just about any field, and so I kept looking until I found a practice area that satisfied my need to litigate as well as my desire to help others. That field, for me, was personal injury. Good people deserve to have peace of mind. That’s what I fight for. 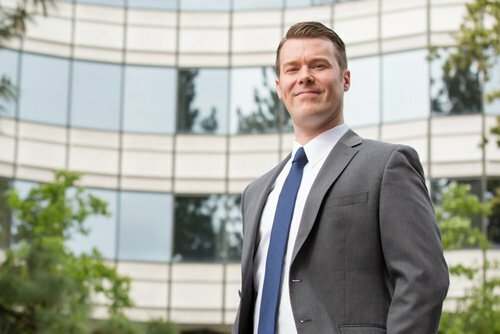 Since becoming an attorney, I’ve found the work to be even more rewarding than I had imagined. Not only do I get to litigate and continue studying law, but even better — I get to help people doing what I love. Over the course of my career, I’ve met some genuinely great families, and nothing has made me happier than the times I’ve been able to guide them in overcoming a legal crisis. For instance, a woman recently came to me for counsel. She had been hurt, and it was affecting her ability to work, pay bills, and look after her kids. After I fought for her and won, she was able to use her winnings to not only take care of her family, but also buy them a better home. I can’t think of a person more deserving of that peace of mind. I can’t promise that every case will end the same way that client’s did, but I can promise that I will always fight for my clients just like I fought for her — and I think it shows. 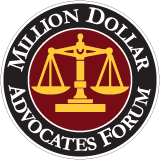 In just the last few years, I’ve recovered over $2 million in compensation for my clients, which has earned me a place in the Million Dollar Advocates Forum. 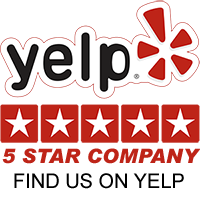 Additionally, I’ve built some very beneficial relationships with other local counsel, which has allowed me to do even more for my clients than I could ever hope to do working alone. After working with me, those same legal professionals have invited me to collaborate with them on many of their cases. I take this as recognition of my ability as an attorney, as well as my sincere desire to make a difference.